"Eric Chenaux has emerged as one of the most distinctive, innovative and original voices in what might be called avant-garde balladry, juxtaposing his gorgeously pure and open singing against a guitar sound and style that truly stands alone. 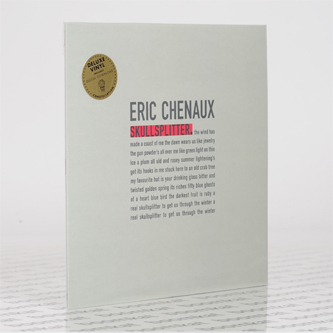 Skullsplitter is the impressive new album that confirms Chenaux’s singular aesthetic: genuine, natural, unaffected vocals gliding through slow, smoky melodies while electric and nylon-string guitars are deployed with adventurously experimental, dextrous, semi-improvisational technique and texture. 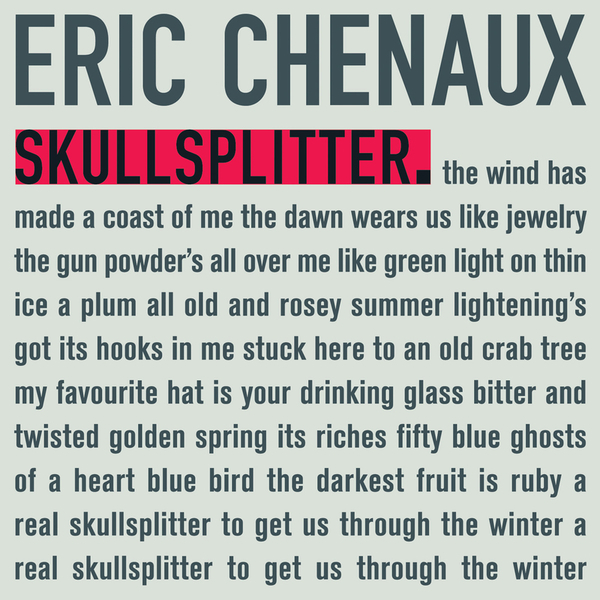 Skullsplitter stands as a welcome and natural evolution from Chenaux’s previous song-based album Guitar & Voice (2012), his first properly solo record for Constellation (i.e. made without guest musicians or collaborators), which was widely celebrated as his best work to date, championed by The Wire, Said The Gramophone, Stereophile and others for its unique sensibility and sensitivity. Skullsplitter builds on these strengths and similarly consists solely of Chenaux’s voice and guitar."